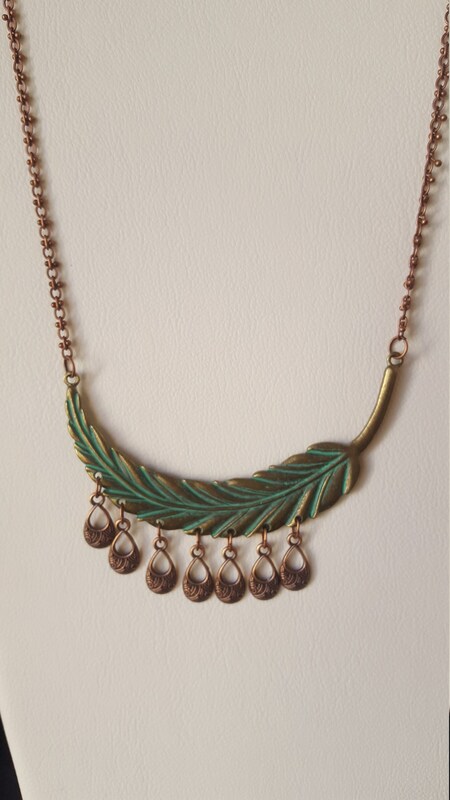 Curved large feather in vertigris with copper drops. Feather measure straight across 4", very light weight. 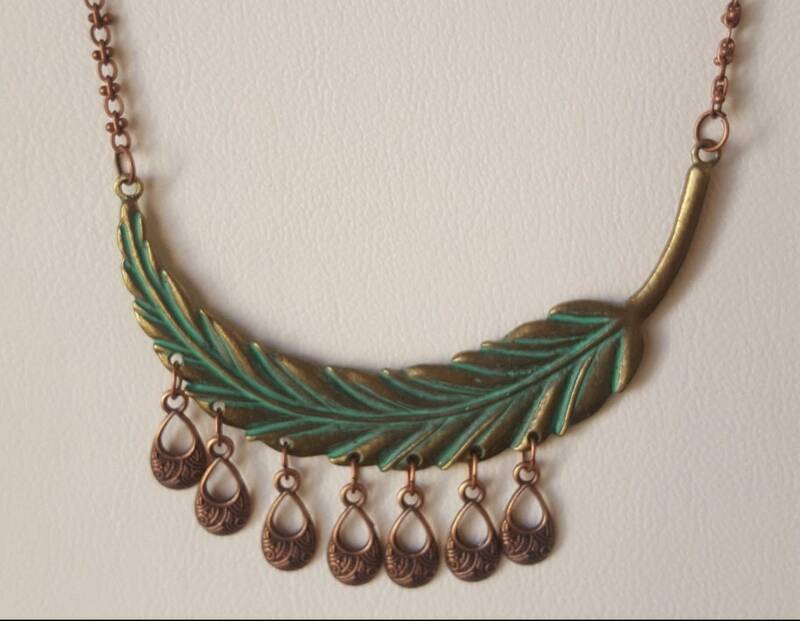 18" copper chain and copper toggle clasp.